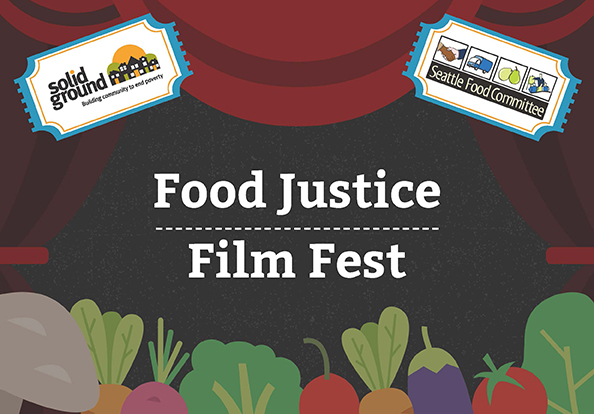 Please join Solid Ground and Seattle Food Committee for the second annual Food Justice Film Fest. Enjoy a special screening of short films on food justice from around the world, and a lively discussion about the movement for sustainable farming and truly healthy foods. The evening will include movie snacks before the show, a thought-provoking Q&A with local food justice experts, thought-leaders and activists, and a reception following the films. Tickets are available on a sliding scale to ensure that people from all income levels can attend and participate in the conversation. No one will be turned away due to inability to pay!